My Beatport DJ chart February 2014 is available! Some tunes are included in my Soundcloud Mix February 2014 aswell! My Soundcloud Mix February 2014 is available! My Soundcloud Mix Series is back with 17 fresh tunes mixed into just one hour! It features tunes and remixes by artists like Daniel Lesden, Eddie Bitar, John O’Callaghan, Simon Patterson, John Askew and many many more! My mix also includes two unreleased classics I’ve received from Dave Dresden as present. Thanks again Dave, sometimes I’m really missing those days! I’ve prepared an exclusive 1 hour mix which features different styles of uplifting and psychedelic trance, but also breaks. 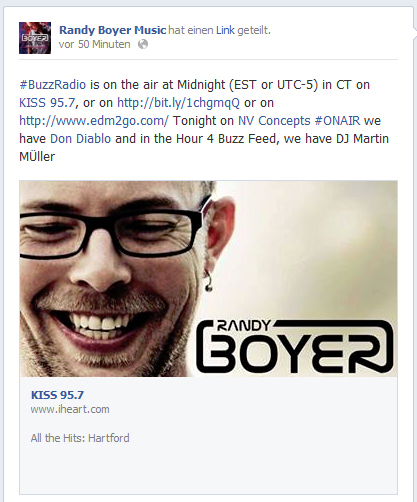 My set will air at 8am EST. I hope you’ll enjoy this musical, underground journey! Tic Tac Trance #074: Replay Available! Tic Tac Trance #074 is almost here! 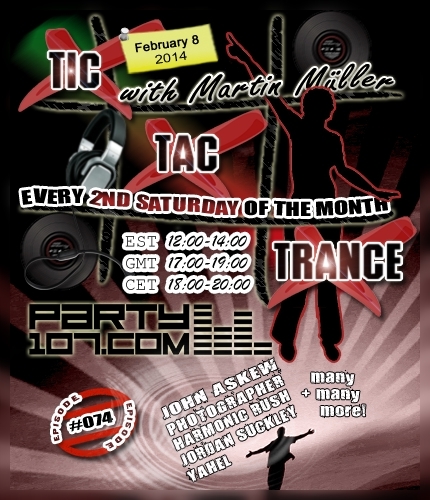 This episode will air on February 8 2014 on Party107 and will feature new tunes and remixes by artists like John Askew, Photographer, Harmonic Rush, Jordan Suckley, Yahel and many, many more! This time I’ve prepared an uplifting & psychedelic 2 hours underground trance journey. Make sure to tune in!